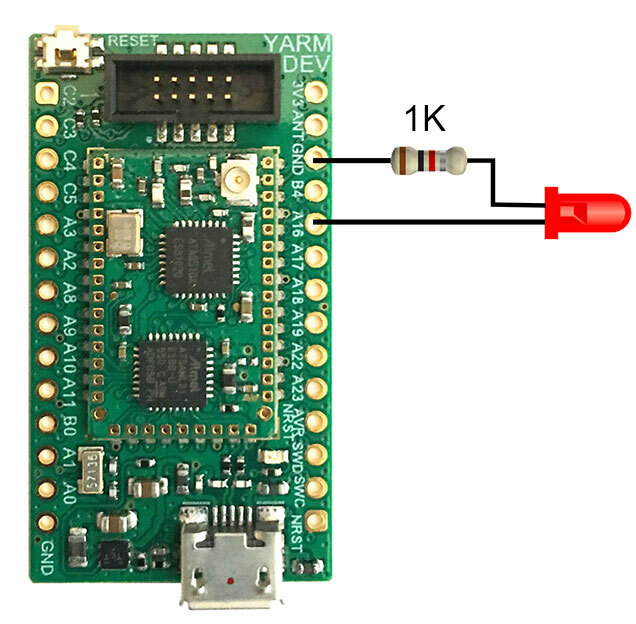 Atmel Studio 7 is the free of charge Integrated Development Environment (IDE) used to program the Atmel chip mounted on the Yarm radio module. 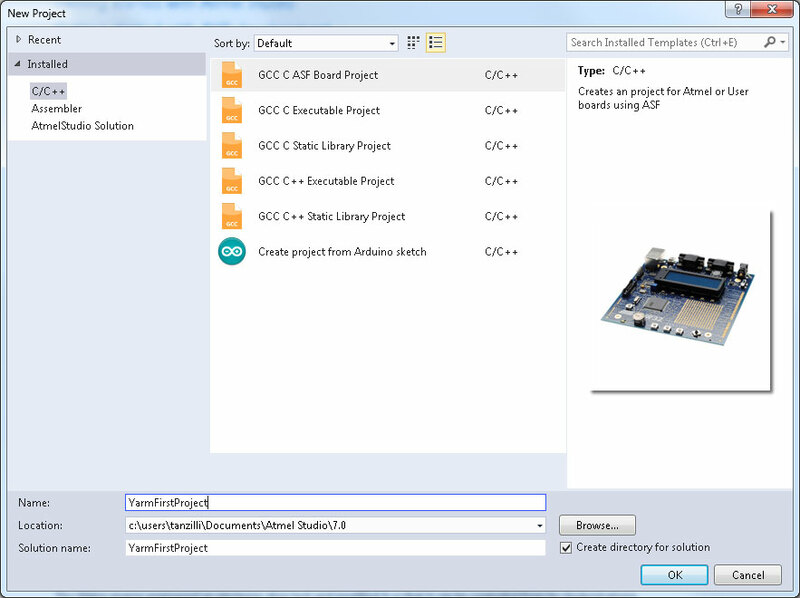 Atmel Studio 7 includes the Atmel Software Framework (ASF), a large library of free source code with about 1,600 project examples. 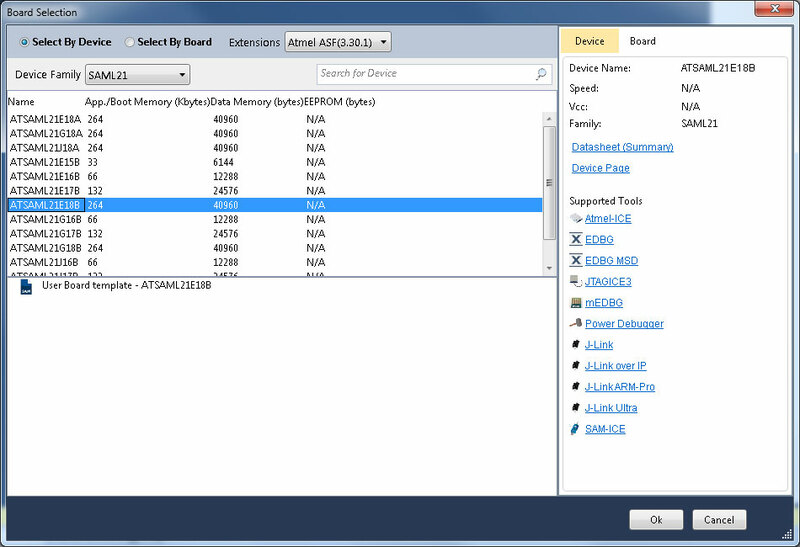 Launch Atmel Studio 7 then select File -> New -> Project. Click on GCC C ASF Board Project and type a name for your new project then press OK.
After a while a form titled "Board Selection" will appear. Select SAML21 from the Device Family drop down menu and ATSAML21E18B from the related device list then press OK. The new project is created with a minimal set of files. 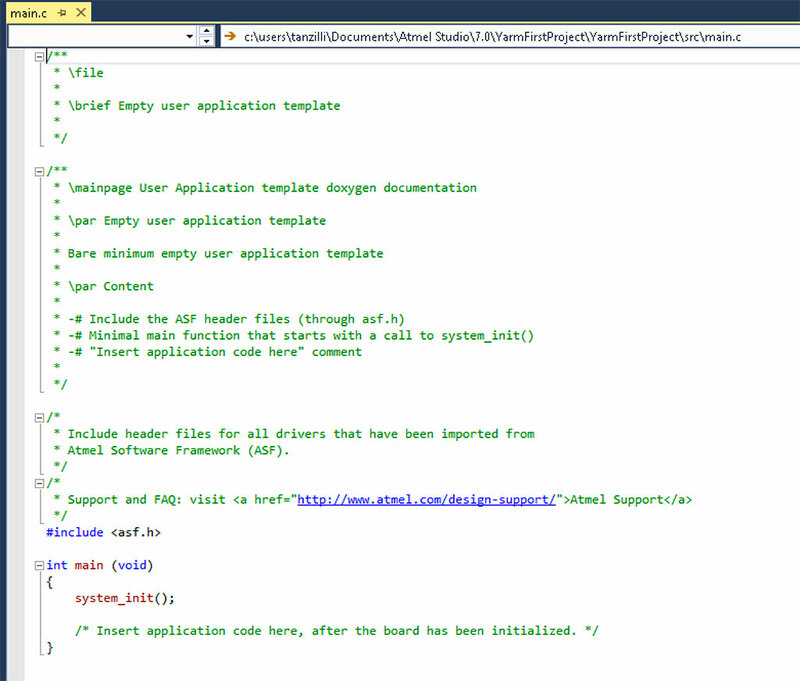 Click on src folder and then double click on main.c to open the source template generated by Atmel Studio. 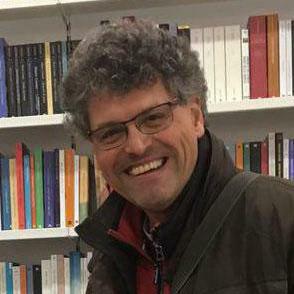 Now launch the C compiler by selecting: Build -> Compile. make: 'src/main.o' is up to date. 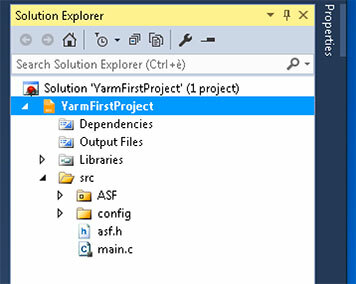 Done building target "Compile" in project "YarmFirstProject.cproj". 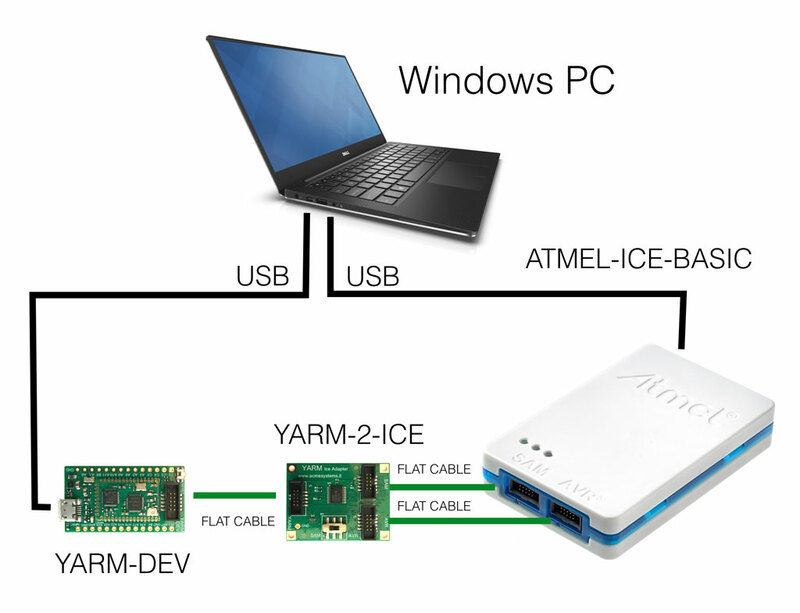 Plug the ATME-ICE-BASIC programmer on an USB port of your Windows PC and wait until the Atmel driver has been installed correctly. Press the Read button then, if everything goes well, the Device signature will appear. 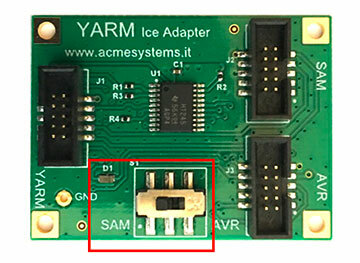 In not be surethat the YARM-DEV boar is plugged to the USB port and to the YARM-2-ICE adapter. Press the Close button and select the menu Debug --> Start Without Debugging to launch the program execution.